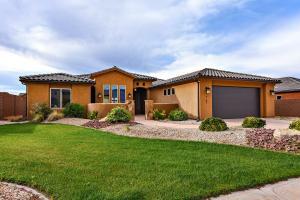 Realtors in Sun River St. George will host two open houses this Cinco de Mayo (May 5). 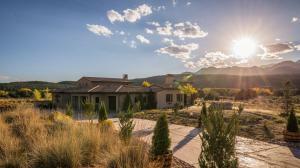 And if golf course living isn’t your thing, southern Utah’s Realtors will host another 11 open houses this weekend for your viewing pleasure. 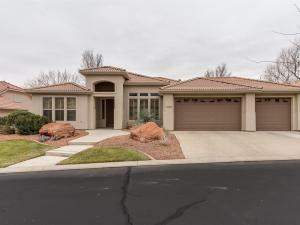 St. George, Utah – from Stone Cliff to Tupelo Estates the Average List Price of a real estate listing on this weekend’s Open House Directory is $405,008 or $170 per square foot. Compiled from the Washington County Board of Realtors FlexMLS system, and notifications sent from fellow Realtors, this is the only comprehensive open house directory list. 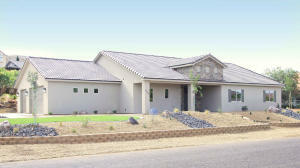 Sun River St. George provides active senior citizens a perfect combination of affordability and amenities. 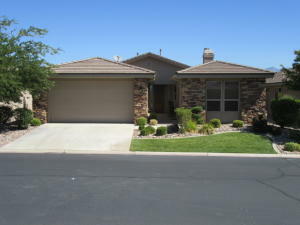 The community is surrounded by an 18-hole golf course, enjoys two swimming pools, has several pickle-ball courts, and is conveniently close to southern Utah’s Dixie Regional Hospital. 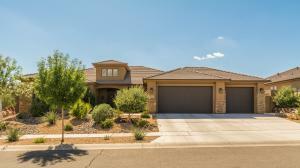 Ranging from $169 per square foot to $333 per square foot, Sunriver St. George currently has a total of 55 active real estate listings on the MLS. While not all of the available listings are on the golf course… all residents enjoy access to world-class amenities of Sunriver. 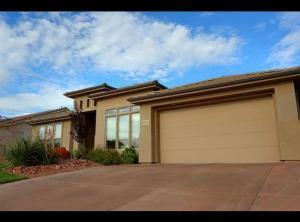 The Median List Price of today’s Southern Utah Open House Directory is $349,000 – or $151 per square foot. And while the most affordable real estate listing on today’s open houses is $239,500 – the most expensive is listed at $949,000. Valued at Just over $5 Million, today’s open house directory includes rural real estate listings, golf homes, and guard gated estates. 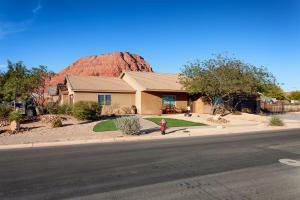 Southern Utah’s 13 open houses will be available throughout the greater Washington County area in the following subdivisions: Villa Bonita, Tupelo Estates, Sun River St. George (2), Stone Cliff, Ridge Point, Foxboro, Dixie Deer Estates, Château Riverwood, Bloomington Hills (2), and Bloomington Country Club. Per the Washington County Board of Realtors today’s 12 open houses are collectively valued at $5,265,100. 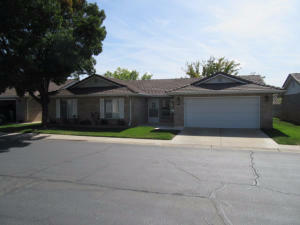 All photos provided by the Washington County Border Realtors, the Flex MLS System, and the listing Realtor. * Information is deemed to be reliable but is not guaranteed. © 2016 MLS and FBS. Prepared by ALEXANDER YEAGER, 435MLS.com on Saturday, May 5, 2018. 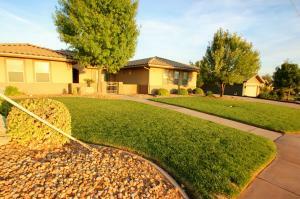 Realtors will host 14 open houses in St. George on Saturday for your viewing pleasure. From Silverstone at Green Springs to SunRiver St. George, the median price per square foot for this week’s open house list is $133. Bella Vista at Stone Mountain or Foremaster Ridge? 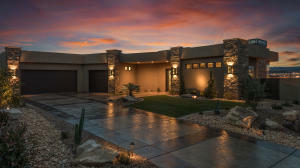 Southern Utah Realtors will host seven open houses today for your viewing pleasure. With only nine shopping days left until Christmas, Southern Utah Realtors are holding nine open houses in the greater St. George area. 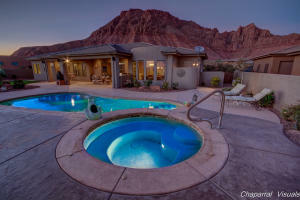 From St. George’s Stone Cliff community to Washington City’s Bella Vista at Stone Mountain, Realtors in southern Utah will be holding six open houses today. 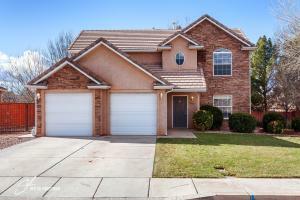 St. George Utah – It is Saturday, March 18, 2017, and there are five Washington County real estate listings currently scheduled on the Southern Utah Open House Directory. While southern Utah’s Realtors will be hosting open houses from Stone Cliff to Sky Mountain, a new report in Deseret News highlights an interesting dynamic. Utah is currently facing its first housing shortage in 40 years. Back in the heady days of the Nixon administration, Utah enjoyed an 11% surplus single-family residential housing. 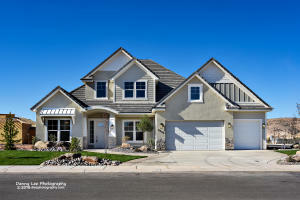 Bad for home appreciation, the surplus represented greater shopping opportunities for Utah homebuyers. No longer the case, demand has outstripped supply and Utah’s homebuyers are frantically looking for townhomes, condos, and single-family residential units, which have grown increasingly difficult to identify. 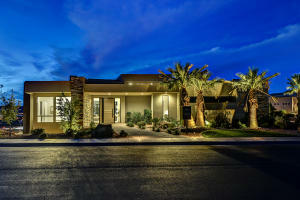 Listed at $102.61 per square foot, the Sky Mountain home located at 837 N. Sky Mountain Blvd. represents one of the better values on today’s open house list. Featuring outstanding views of the Sky Mountain golf course, close proximity to shopping and a wide open floor plan, this wonderful property been listed for 37 days. 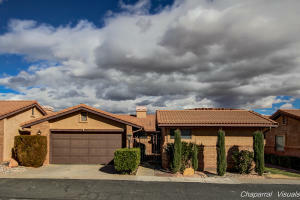 At the other end of the affordability spectrum, the listing on 2560 East Cobalt Dr. in Stone Cliff is listed at $272.21 per square foot and has been on the market for 139 days. 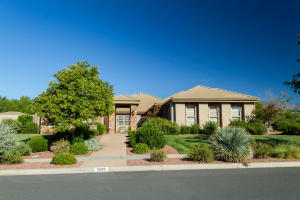 That said, below is a list of today’s southern Utah open houses. TGIF Washington County, here is your St. George, Utah Open House list for the first week of the 2017 Parade of Homes. 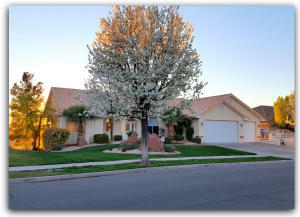 Well, it’s Mid-February in St. George, Utah, which as a Realtor can only mean one thing. It’s time for the 2017 Southern Utah Parade of Homes and all of the excitement associated with it. As this year’s crop of architecturally significant residences entices tens of thousands of visitors from around the country to visit our little southwestern corner of the Beehive State, Realtors in Washington County are preparing for their own Open House. 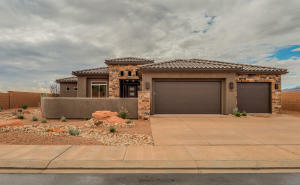 As Southern Utah’s finest builders put the finishing touches on their Parade projects, and rain looms large on the horizon for all, there are currently 5 Open Houses scheduled for Friday, 11 scheduled for Saturday, and only 2 for Sunday. 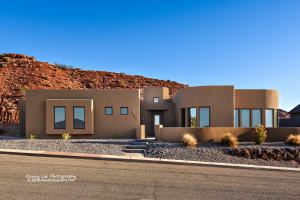 From Kayenta to Stone Cliff, architects, builders, and interior designers are preparing to open their individual projects to the public – of which there are 28 this year – while Realtors like myself are preparing to provide as much useful information on our area during our own open house as possible. High atop the luxury community in the prominent and guarded/gated area of Stone Cliff Estates, you will find me at this gorgeous 2016 Parade Home. Featuring modern amenities meticulously chosen for today’s discerning buyers with distinguished taste, 1871 E Cliff Point Drive offers strikingly panoramic views of Saint George City. With an open and engaging great room, which includes exquisite wide-panel wood flooring, the gourmet kitchen is masterfully appointed with custom cabinetry, premier light fixtures, professional grade appliances, an oversized center island with waterfall granite counters, and a full-service butler’s pantry. Featuring an entrance level owners suite, junior suite, great room, handsome office and floor to ceiling cabinetry in the gourmet kitchen and laundry, owners of this stylish residence will enjoy complete living on the main level. On the lower level of this Stone Cliff masterpiece is as beautiful home theater, exercise room, great room and bunk room – all showcasing the very finest in craftsmanship. Entertaining in Stone Cliff style, this home provides magnificent outdoor living spaces, including a deck off the great room, large patio area, custom pool with spa, radiating fireplaces and fabulous views. Constructed with the highest attention to detail and the finest finishes and fixtures, this spectacular 5 bed, 7 bath residence is a must see for southern Utah’s most discerning buyers! Built in 2016 and comprised of 8,817 Ft.² of luxury living, the floor plan of this Stone Cliff masterpiece allows guests and residents alike to effortlessly flow and communicate while ensconced in pure luxury. 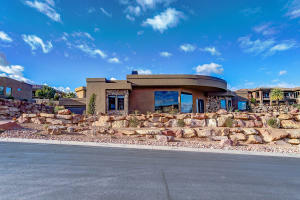 With 3,788 ft.² on the entrance level, this beautiful home enjoys four fireplaces an oversized three-car garage and is situated on .41 acres within Southern Utah’s guard gated community of Stone Cliff. 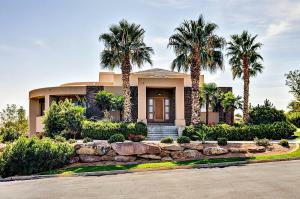 Light, bright, and ready for entertainment this magnificent home is as elegant downstairs as it is on the main level. From the modern design to the walls of glass, the downstairs living area beckons to be enjoyed. Listed at just over $340 per square foot, this southern Utah masterpiece represents one of St. George’s best deals on luxury real estate. MLS Inclusions & features are: Five bedrooms; Seven full bathrooms; 4 fireplaces; alarm/security system; built-in barbecue; ceiling fans throughout; central vacuum; large covered deck; dishwashers; dryers upstairs and down; jetted tubs; fully landscaped; microwave ovens; outdoor lighting; freestanding oven; covered patio; high-end refrigerator; smart wired; automatic sprinkler system; luxurious theater room; massive walk-in closets; owned water softener, and a reverse osmosis system. As to the actual 2017 Parade of Homes list…click on the below image to see the entire list of 28 homes. 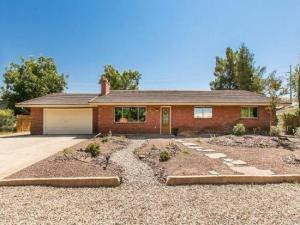 Southern Utah Open House Directory: What the Heck Is Stucki Farms? 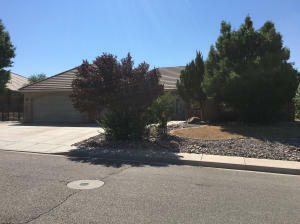 It’s 5:30 am on another beautiful Saturday morning in southern Utah, and according to the Washington County Board of Realtors (WCBR) multiple listing system – a.k.a. 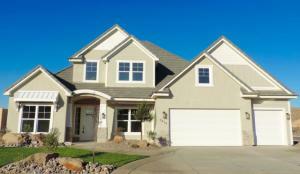 the MLS – there are 10 Open Houses scheduled for today in Washington County. That’s right, it’s Saturday, November 12, 2016 in sunny St. George, Utah, and over the past week, Donald Trump has become the 45th President of the United States, virtual reality has caught the attention of some realtors around the country, and prognosticators anticipate a potential upturn in the real estate sector, thanks to Trump’s election. 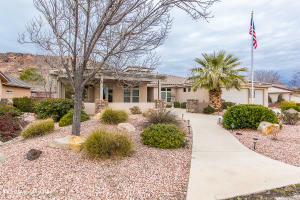 With Thanksgiving just around the corner, today’s Southern Utah Open House Directory is here to help you find that perfect home for the holidays. From the beautifully appointed condominiums for sale at Pelican Hills to the executive listings within Highland Park at Coral Canyon, Washington County has a home for you. 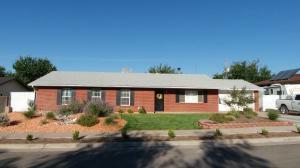 Comprised of The Meadows, The Cottages, The Crossroads and The Homesteads, Stucki Farms is located in the Washington fields area of St. George, Utah. With lots available for those looking to build a custom home in southern Utah, The Meadows at Stucki Farms is currently building out phase five. “Tiny Home” centric, The Cottages at Stucki Farms is designed for those who believe “less is more.” With available homes for sale between 750 ft.² and 1250 ft.², The Cottages is a community designed for homeowners looking to simplify their lifestyle. While Stucki Farms has a lot to offer, so do the other communities on today’s southern Utah Open House Directory. From the beautiful views of Foremaster Ridge to world-class amenities offered at Pelican Hills, our southern Utah real estate inventory offers something for everyone. 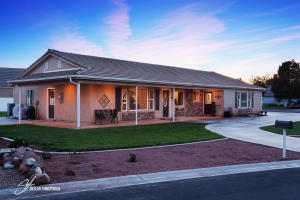 As of 5:30 AM on Saturday morning, the Washington County Board of Realtors FlexMLS system shows 10 southern Utah real estate listings have been placed on the open house list for today. 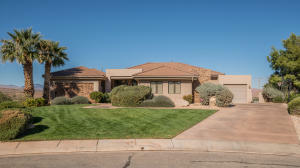 It’s Saturday, October 22 in southern Utah’s beautiful high desert, and today’s 10 scheduled open houses can be found in the following Washington County subdivisions: Stone Cliff – St. George, Ironwood – St. George, Coral Canyon – St. George, Ironwood – St. George, Wailea Falls Stonebridge – St. George, Redstone Estates – Ivins, and Sun Country Meadows South townhomes – St. George. 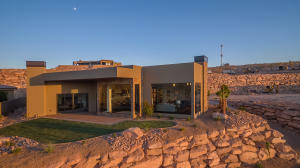 Demonstrating strong environmental stewardship, the Coral Canyon master-planned community has devoted approximately 50% of their 2600-acre community to preserving their surrounding open spaces. Surrounded by its championship golf course and conveniently located to Coral Canyon’s village square, this self-contained community has every amenity and feature the modern family could hope for. With miles of hiking trails, wonderfully appointed workout facilities and a community pool, Coral Canyon is southern Utah’s oasis of golf and entertainment. 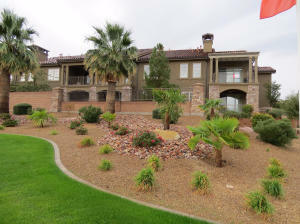 Whether you’re looking to enjoy a beautiful round of golf on their 7,029-yard, par 72 championship golf course, or a peaceful day with his family at any of their three Washington City parks – Heritage Park, Razor Ridge Park, or Highland Park – Coral Canyon has a lot to offer for those looking.